As I understand it, in a standard indirect, the sensor/aquastat communicates the temperature of the DHW in the tank back to the boiler control. On DHW priority, the dedicated circulator will move hotter boiler water through the indirect's coils to raise the temperature of the tank water--hopefully to at least 140, to be then mixed down to 115º or so. However with a Turbomax or other reverse indirect, there is no stored hot water supply, it's basically on-demand. The aquastat/sensor is measuring the BOILER water(?) in the tank which can heat the DHW in the coils very rapidly and activating the circulator when temp goes below the low limit. Does the fact that with the standard direct the DHW itself is being measured and the reverse indirect the boiler water is measured have any bearing on how the controls should be set up? Does it make any difference to let's say, a Hydrostat 3200+ what it's sensing or does one just experiment a bit and find which setting gives you the right temperature water? (gas atmospheric boiler.) In this case, turbomax aquastat is the Ranco 060-100. Turbomax will not be used as a buffer, only as indirect. What is the problem you’re having @D107? Buffer is being re-piped to reverse indirect function this week; I happened to notice that indirect circ is not cutting out at the differential as specified. There may be no problem once it's set up as indirect but I'm trying to learn the Hydrostat so I'll be able to operate it myself. Hydrolevel doesn't publish all its features in one place. Manual has some info, their videos other info. For now really trying to understand any differences in approach between the two kinds of indirects--if there are differences. So are you saying the circ isn’t cutting out at it’s setting on the aquastat? And are you basing this on gauges? When does it shut off? It never shuts off; boiler high limit is 160; edited due to my incorrect info on aquastat. see my post 4-14-19 1:40pm. And absolutely nothing has changed from when it did cut out until now? Not as far as I know. But we'll be able to test this all out this week. I'll post the results. Gotcha. Well to answer your question, no there is no special approach to setting the control strategy with a turbomax. I’ve installed many and control them as any other indirect. If you want to experiment, lower the turbomax aquastat to 140 and see if it shuts off, or raise the boiler aquastat to 170. The aquastat function is the same with a reverse indirect. The circuit will break on temperature rise. 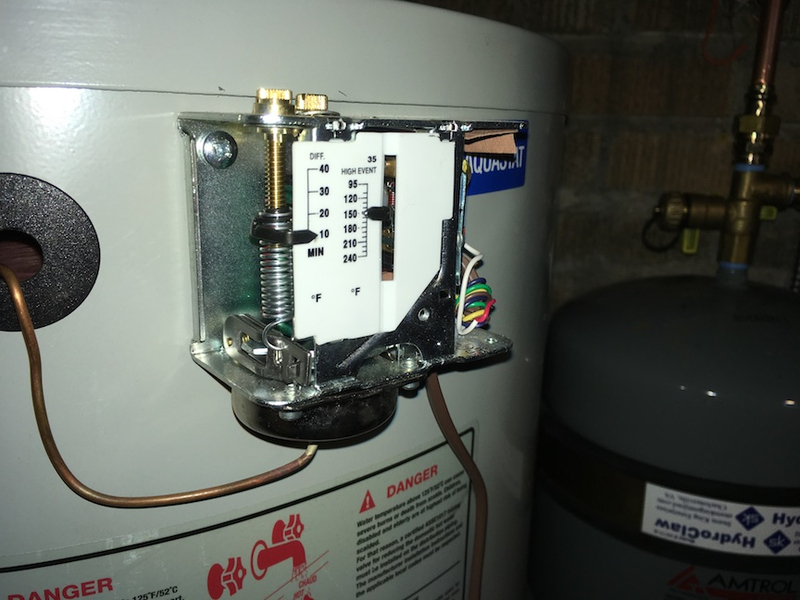 On a standard water heater its sensing domestic temp. On a reverse its sensing boiler water temp that should be equal to the domestic hot temp. Have you tried spreading the diff between the boiler aquastat and the WH aquastat? Say boiler 180°, WH 160°. Is the 3200 Plus wired for DHW priority? How is it wired. Is the Hydrostat new? 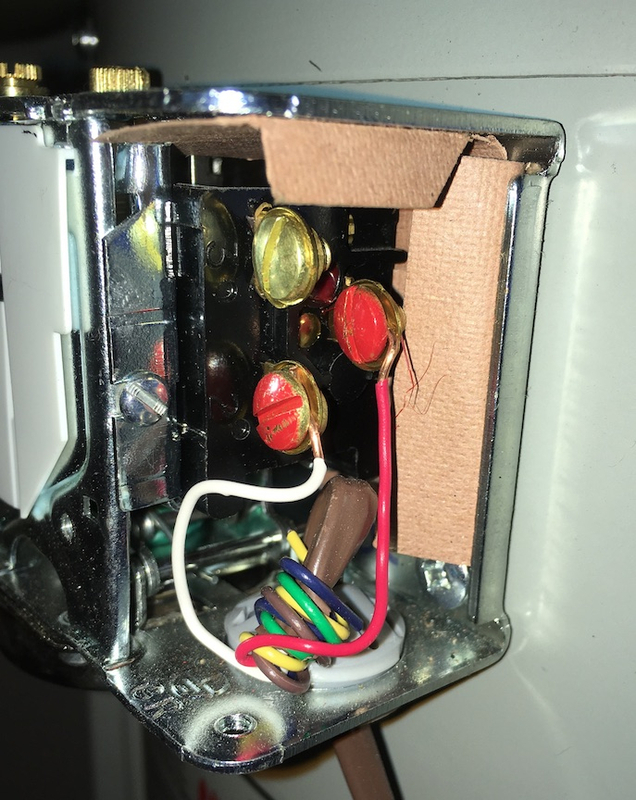 On the oil 3250 Plus, theres a jumper in the upper right corner (above the I-Z switch) that must be removed in order to raise the limit over 140°. Are you using outdoor reset or thermal targeting by the Hydrostat? @HVACNUT Since tech will be here in a few days I'll wait to do any experimenting. I'll avoid the long story here, but 3200+ is temporarily not wired for DHW priority, but will be. Hydrostat is new and the 3200+ has quite a few differences from the 3250. We do not expect to use outdoor reset but hope to use the ECO setting with thermal targeting--the lowest supply temp for that is 145--quite low for an atmospheric boiler with 20º∆T. As you probably know, Hydrostat's 'circulator hold' feature is a bit lenient with low boiler temperatures. For heating, Circ won't start until boiler temp reaches 125, and will then stop only when temp goes down to 115. On heating sites usually it is said to be an issue if even the return temps go below 130--when presumably boiler water itself would be higher. But here they allow boiler water to go quite low with the circ on. I'd wonder how you feel about that. Probably it assumes the low temperatures will be of short duration as burner fires up. @Danny Scully @HVACNUT Perhaps I'm not understanding the current settings. Looking at Ranco 060-200 Manual. Is this the right kind of control--which came installed on the Turbomax-- for an indirect? This is a 'close/make on rise' control, meaning when tank temp rises to cut-in temp of 150, circulator will turn on. The differential is set to 10º, which means cut out setting --circ turns off--would be 140º. But don't I need a control that turns the DHW circ on when tank temp falls BELOW the boiler lo-limit temp so that the shower I might be taking can stay hot? Otherwise what constitutes a DHW call? Note manual says this is a 96" Capillary 3/8 x 6" Cross Ambient Bulb. SPDT Opens High or Low. As HVACnut said most indirect aquastats "break on temperature rise" not make. Maybe you can recommend a more suitable Ranco or other unit? The circ for the indirect runs (or should run) as follows: When the tank drops below 140, the circ comes on. When it reaches 150, it shuts off. This is something I've seen far too often on the Turbo Max. Is there a domestic T&P at the 1 1/4" hot out? @HVACNUT Yes, T&P on hot out, and pressure valve on tank top. Caleffi mixing valve with temp gauge --mixed for house down to 115. @HVACNUT Thanks. So just to be ready for tomorrow, I need one more question answered. Though the Ranco 060-200 manual says 'close on rise' control, it also says 'SPDT Opens High or Low'. We're hoping that means the toggle switch can be moved from C&B to C&A terminals --the opposite of wherever it's at now--and that will change the aquastat from close on rise (cut in on rise) to open on rise (cut out on rise) which would solve our problem. We're hoping we won't have to get a new aquastat. (Also I think the A-B-C terminals are also called 1-2-3. See attached photos.) Otherwise why would Turbomax have this installed with the unit? So the verdict on this aquastat is that it's broken; keeps circ on all the time unless you turn it down to 95. Awaiting warranty replacement; probably take a week. It does seem to have the 'break on rise' ability by using terminals 1 & 2. 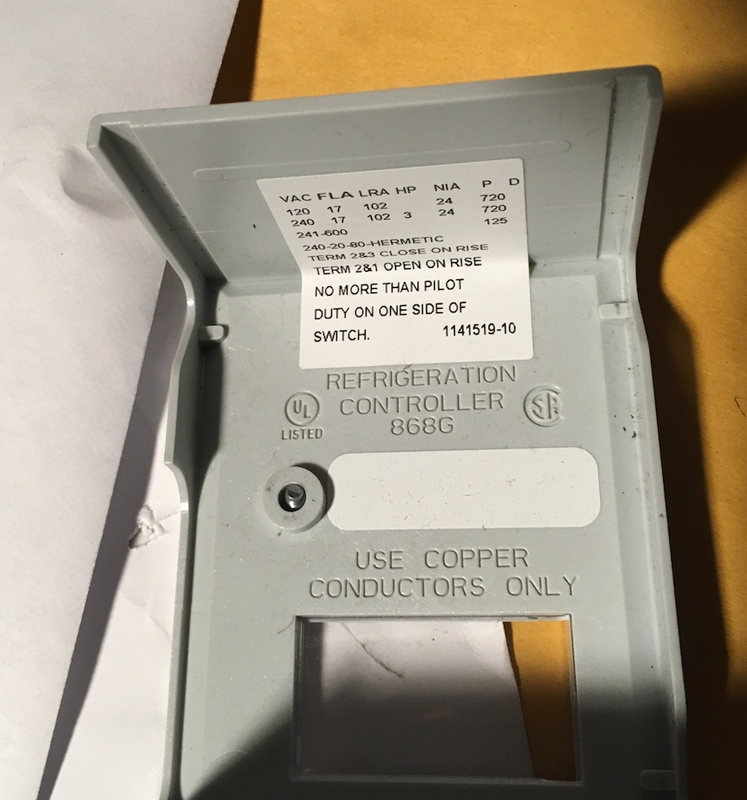 Funny thing is when you look inside the cover you can see it was made as a refrigerant control, which makes sense, having the optional setting 'close on rise'. The installer doublechecked the aquastat, relay and hydrostat wiring but basically seems to be a defective aquastat. I kind of wish it could be replaced with something more standard like a Honeywell, but so be it. Thanks for all your comments. Terminal photo shows brass screw: #3, middle red screw #1, and lower red screw #2. 1&2 are for cut out on rise.